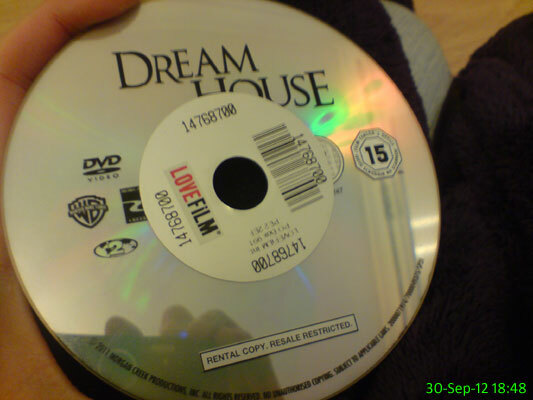 A quiet night and a DVD was the plan. The film wasn't great, but I was only half watching it anyway. 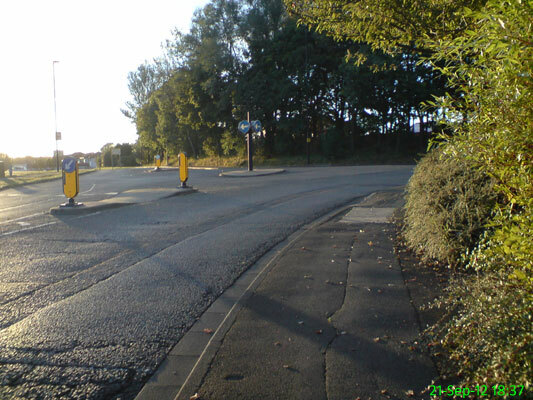 I made the journey south of the Tyne to Gateshead to go to Claire & David's wedding reception. 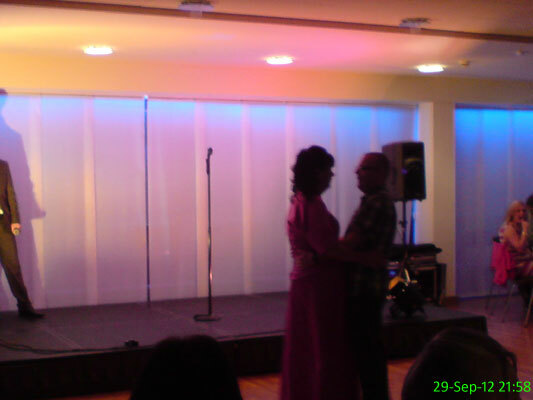 Naturally, they had to have their first dance. 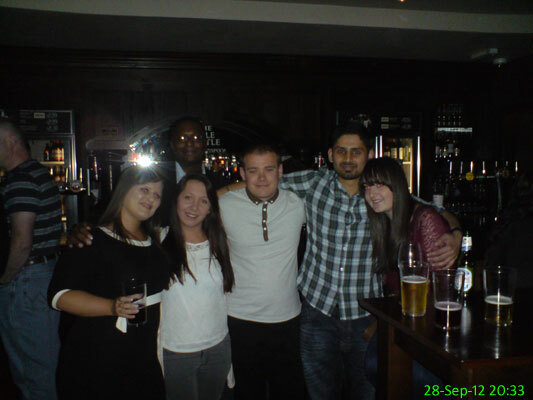 We went for drinks to celebrate Mak leaving for a new job. In the picture is Rachel, Becky, Walter, Michael, Mak and Jenny. 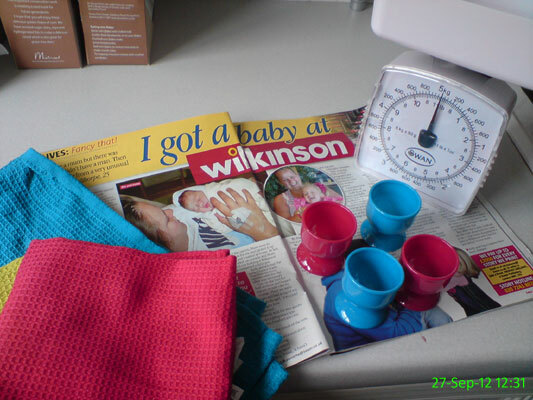 I went shopping at Wilkinson yesterday and was pleased to have picked up some kitchen scales, 3 tea towels and 4 egg cups (amongst other things) without spending more than £15. The woman in the issue of Take a Break I read today had a slightly different experience! 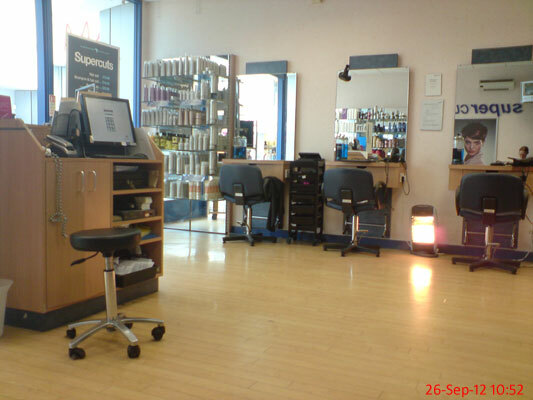 I went for a trim at Supercuts and it was pretty quiet so it didn't take too long at all. 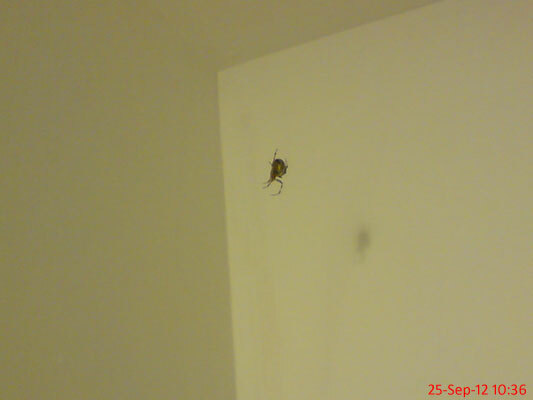 Ok, that may be a bit of an exaggeration, but I'm sure I've never seen a spider this big and I'm even more sure it shouldn't be dangling in a precarious fashion above our stairs. I want to dispose of it but I keep having vision of thousands of babies exploding out of its belly if I try anything. The first day of a week off work and naturally it's grim outside. 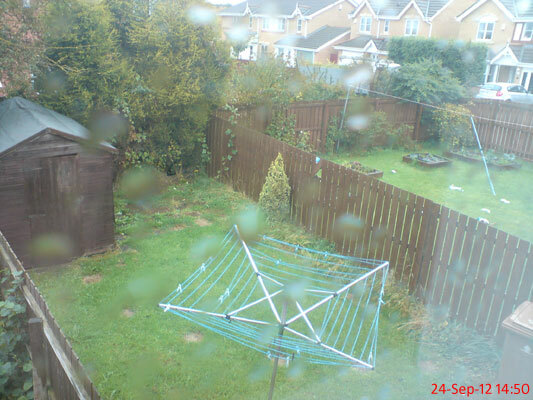 I'm not sure what happened to my neighbour's fence but it appears to have been on the receiving end of a punch. 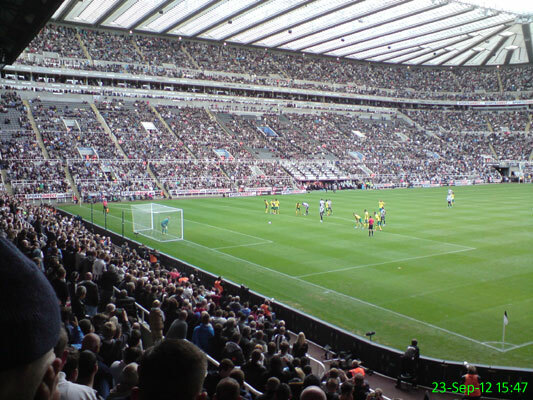 The team decided to deviate from the plan and allow Papiss Cisse to take a penalty. He missed the chance to make it 2-0 but Newcastle managed to hold on for the 3 points. 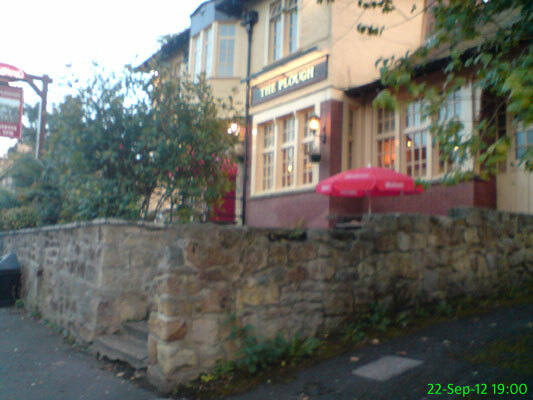 A visit to the Plough to catch up with Ali, and some shaky photography even before I'd had a drink. It's getting to the time of year where the sun sets a little earlier. Tonight the low sun made the leaves to the right of the picture look lovely and green. 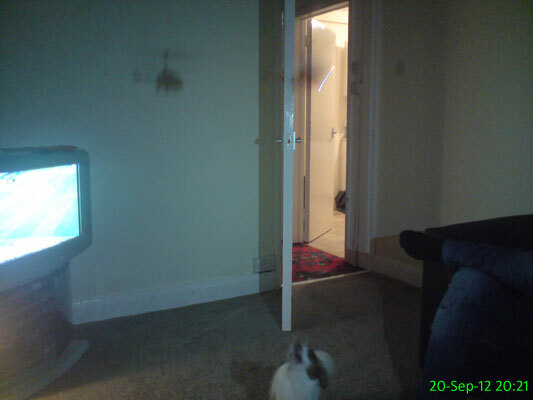 Travis goes absolutely mental whenever he sees this remote controlled helicopter and tonight was no exception. 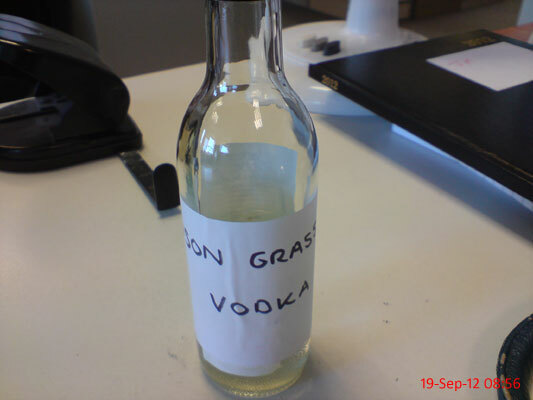 I'm not usually in the habit of looking at vodka first thing on a Wednesday morning, but Michelle has been raving about this for ages and was kind enough to bring me some to try. I'm saving it for the weekend, I promise! 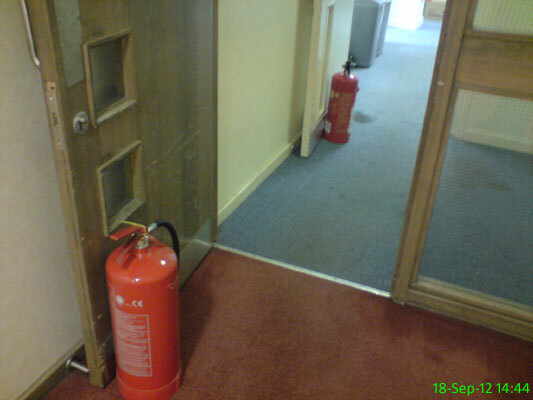 After being a fire warden at work for several years I was finally called into action. There was a fire in the building next door so we had to evacuate and couldn't get back in for over an hour (which most people spent in the pub). Naturally I didn't have my phone with me to take photos of exciting things like fire engines and firemen, but when we were finally allowed back in we had to keep the doors propped open for a while to allow the smoke to clear. 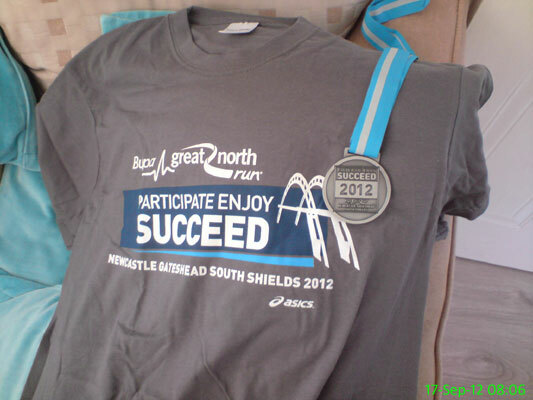 The t-shirt and medal which were included in my finishing pack yesterday. 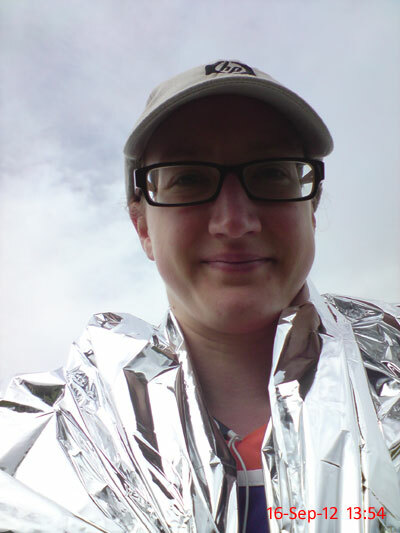 I completed my second Great North Run in 2:14:26 which was 7 minutes quicker than last year. Once again, despite months of dreading the day arriving, it was thoroughly enjoyable. 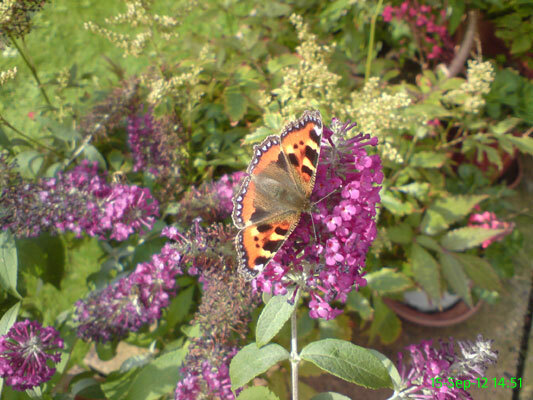 This little chap was enjoying the flowers in my mam's garden. My favourite thing about the Great North Run is the carb-loading that comes beforehand. The ingredients were assembled: smoked sausage, chopped tomatoes, red pepper, crushed chilli, onion, garlic and, of course, lots of pasta. 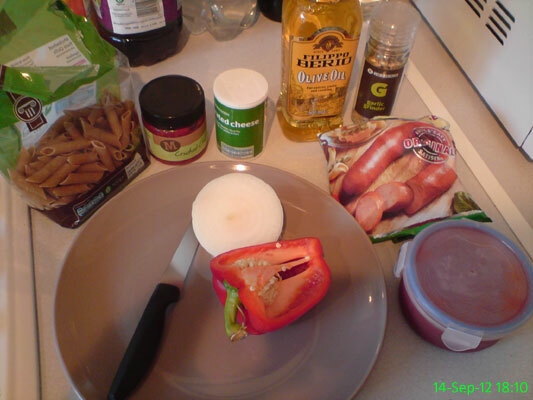 Olive oil for frying the onions and some grated hard cheese to finish it off were also very important! I don't think the (low calorie!) jelly and frozen yoghurt I had for pudding are traditionally part of a marathon runner's diet but it made me feel less like a loser for staying home on a Friday night. 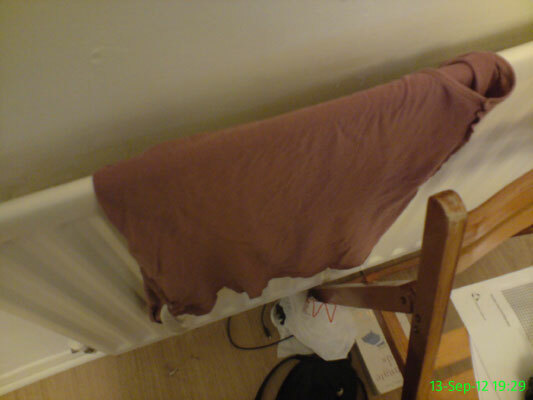 It's bitterly cold outside so the heating is on and glorious warmth is coming out of the radiators. 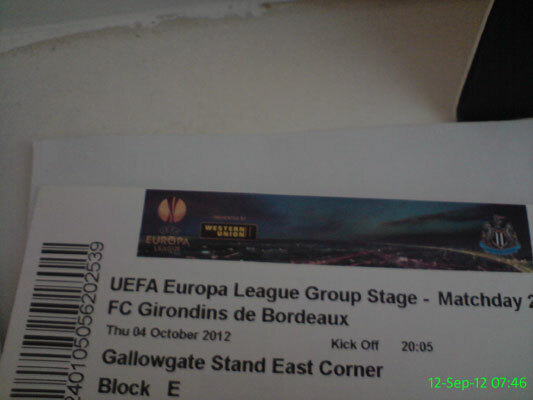 My ticket to our first home game in the group stages of the Europa League. 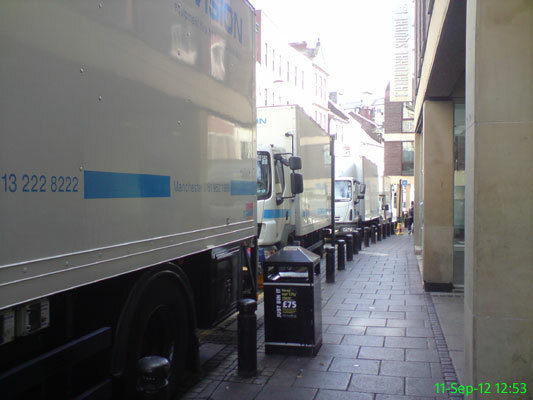 Vans belonging to a company called Provision, who supply equipment to the film and TV industry, lined Cloth Market as a film crew were filming Vera nearby. I knew I'd grown up when my attitude to leftovers changed. Let's face it, no matter how nice the food is, when you're a child told that it's leftovers for tea, the response is usually something along the lines of "nooooooo, not again!" But as an adult, coming home from work and thinking you'd rather chew your own elbows off than cook a meal, leftover food is a real gift. 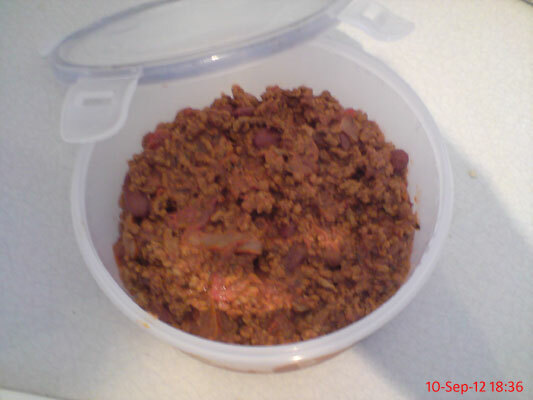 Today, it was chilli con carne, which I had with a baked potato and green beans. Phenomenal. 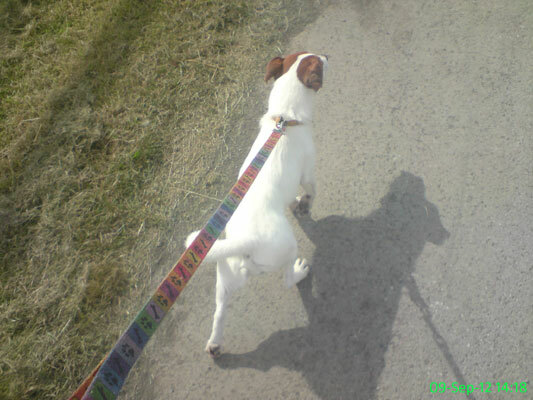 We looked after Travis for the day and took him for a walk around Weetslade Country Park. 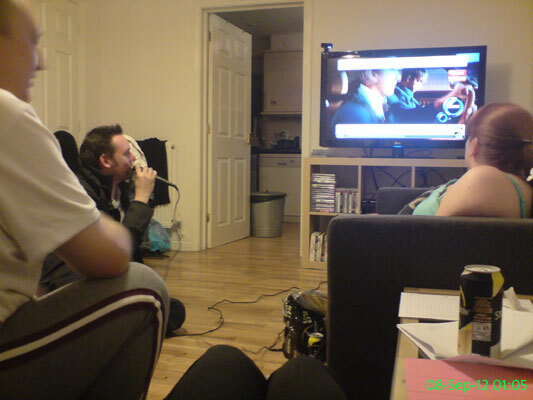 Can't beat a bit of Singstar in the early hours (although I'm sure Ali & Stu's neighbours would disagree). 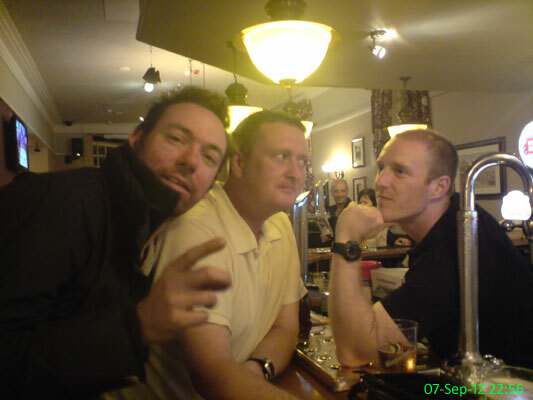 I'm reliably informed that this lot are going to be the next big thing on the radio. I won't lie, I'm a bit frightened at the prospect. 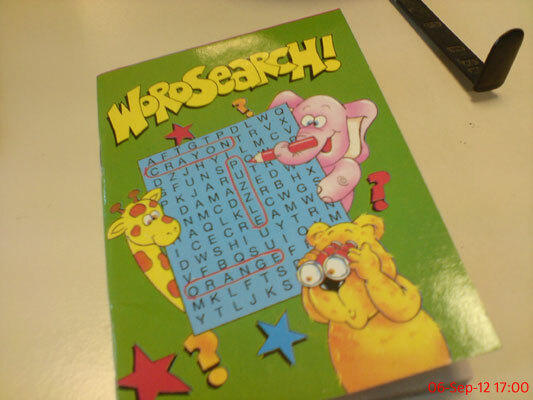 A new wordsearch book Nicola brought into work for me to play with. Yay! I've listened to The Chris Moyles Show for the past several years on the way to work. Chris and the team will be leaving the breakfast show soon and we're now into the final 8 shows. 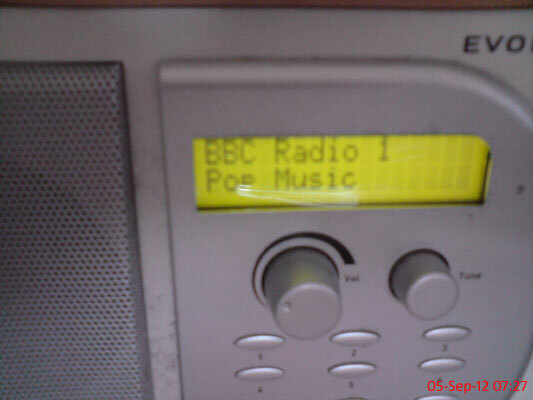 This radio has already removed the show name from the description! 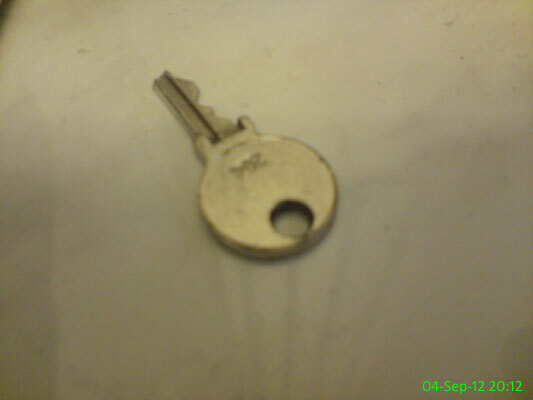 I don't know what it opens. 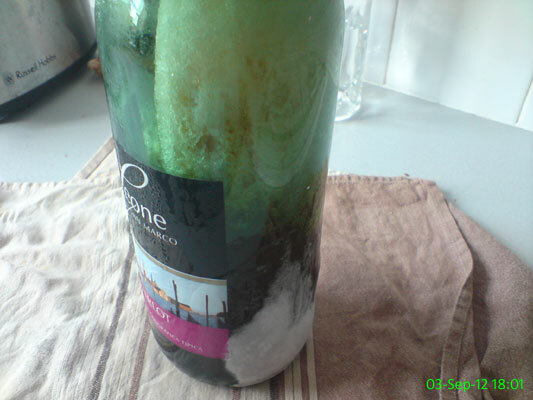 Some homebrew that accidentally got left in the freezer overnight. I wasn't in any hurry to try it before it froze, so I certainly won't be tempted now. 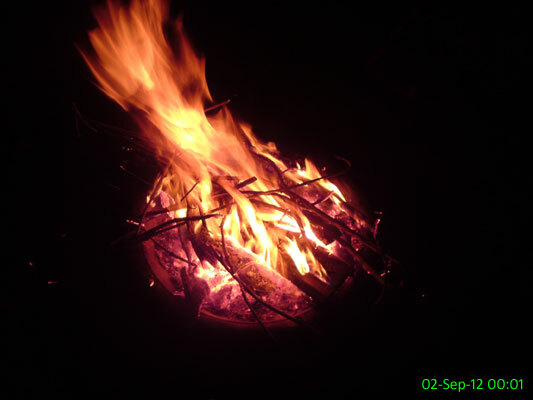 We went round to Mick's house to play with fire. With the Great North Run only a few weeks away it was time to increase my distance. 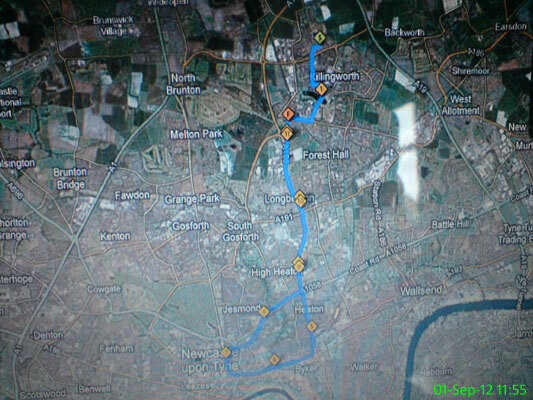 I managed 11.28 miles which involved running from Killingworth into the city centre and then back as far as West Moor, where I bought a bottle of Lucozade Sport and a Mars Bar which were about as close to manna from heaven as I could possibly imagine.